Here is a quick look at three new models for the Aquatimer series that IWC is going to be presenting as a part of its 2016 product launch. 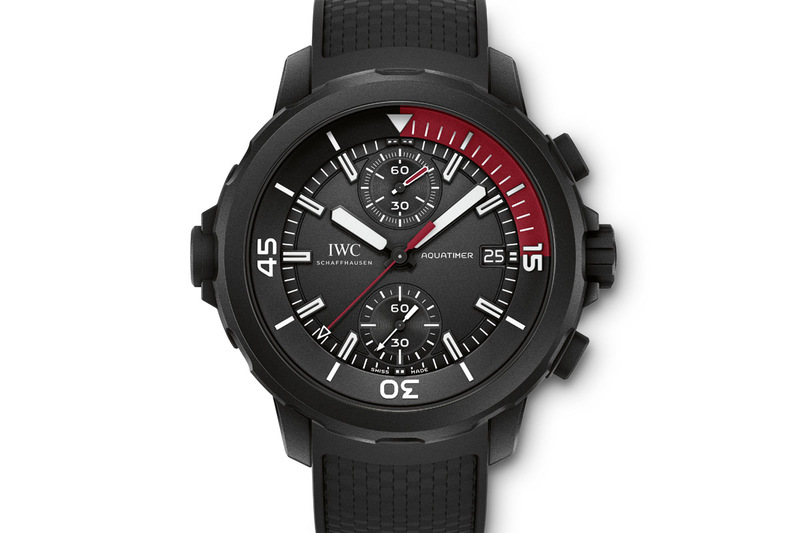 The IWC Aquatimer Chronograph Edition “La Cumbre Volcano” (Ref. IW379505) will be limited to 500 pieces only. Named after a shield volcano on Fernandina Island in the Galápagos Islands, the model features the in-house manufactured 89365-calibre movement. Similar with the rest of the series the timepiece WR300M rating. The automatic chronograph has a flyback function and a power reserve of 68 hours when fully wound. 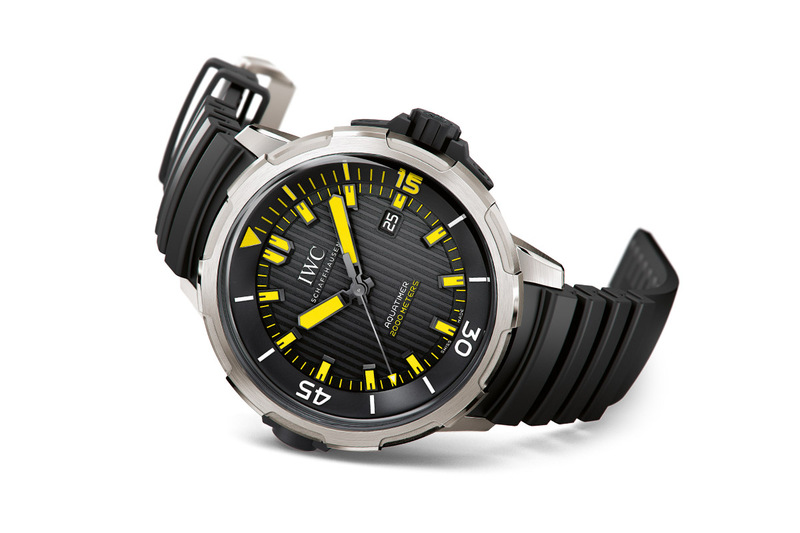 The dive time can be set by using the mechanical external/internal rotating bezel known as the IWC SafeDive patented system. 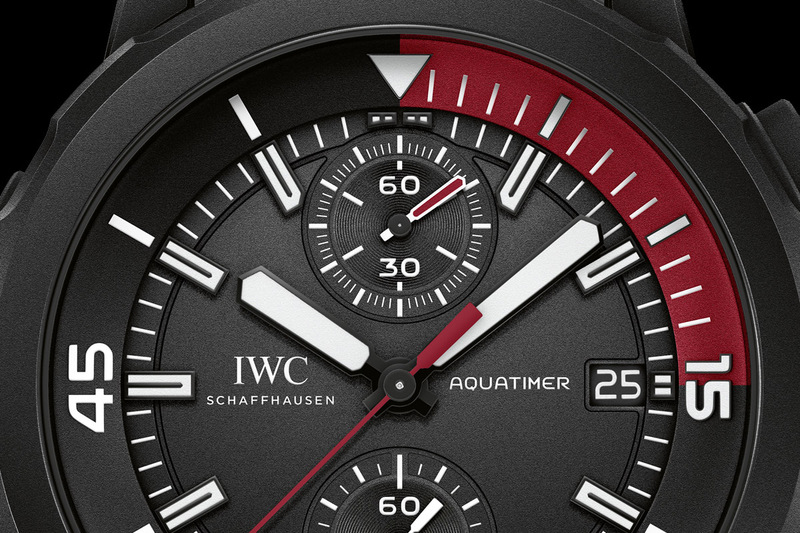 The second new member of the group features a new color combination in the IWC Aquatimer Automatic 2000 (Ref. 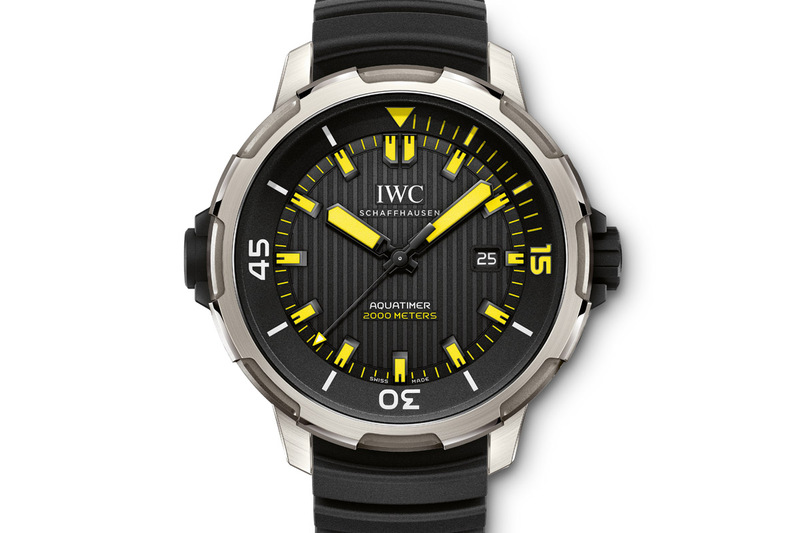 IW358001) series with a striking black-and-yellow combination for the WR2000M model. The origins of this particular timepiece go way back to 1982 when it was initially designed by Ferdinand A. Porsche exclusively for mine clearance divers. 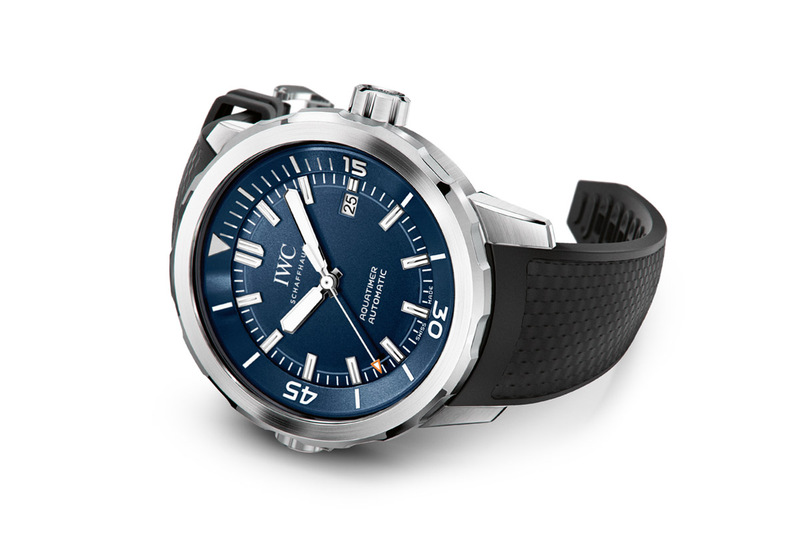 The watch is powered by IWC’s automatic caliber 80110 movement with 44-hour power reserve. The watch also has the SafeDive bezel system. This new model is offered in a 46mm diameter titanium case. The deep sea diver engraving on the case back and the black rubber strap suits nicely with the sporty character of the watch. The last one comes from the brand's connection with the legendary explorer and diver Jacques-Yves Cousteau - “Expedition Jacques-Yves Cousteau” (Ref. IW329005). This is the latest version dedicated to the French scuba-diving guru. 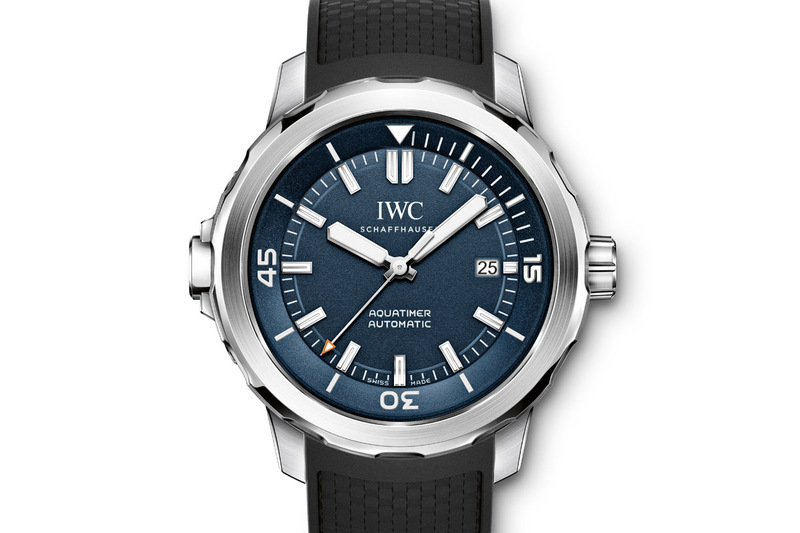 Like the Galapagos Islands, IWC also has a special relationship with Cousteau. As a partner of the Cousteau Society, IWC contributes to the restoration of Cousteau’s famous research vessel, the Calypso, among other things. The watch has a stainless steel case, stunning blue dial and an engraved stainless steel case back showing Jacques-Yves Cousteau with his well known beanie. WR300M rated timepiece has an automatic winding movement with a power reserve of 42 hours. Features also include the mechanical external/internal rotating bezel, the SafeDive system and luminescent elements.